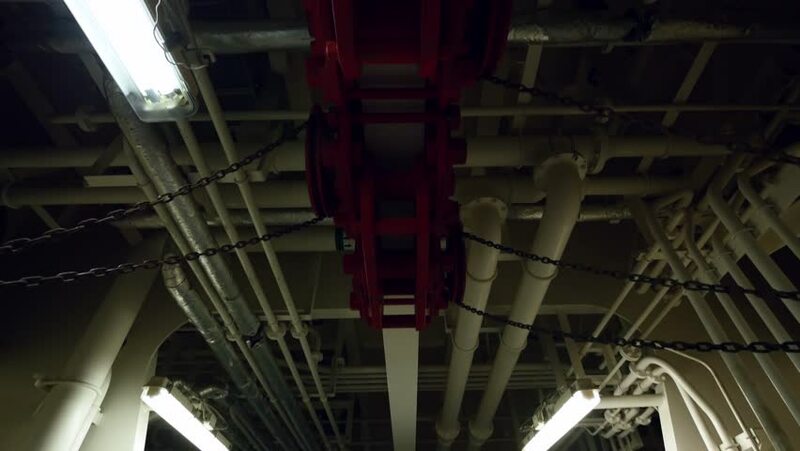 Carriage of chain blocks on rail, in engine room of vessel. Tilt. hd00:06MOSCOW, RUSSIA - JAN 11, 2013: Many cars and lift in tower to store in Volkswagen Center Varshavka at evening. Tower was designed and built in 2009.